October Special: 3 & 4 October 2017 Buy One Get One Free BURGER SYOK (Ala Carte)! 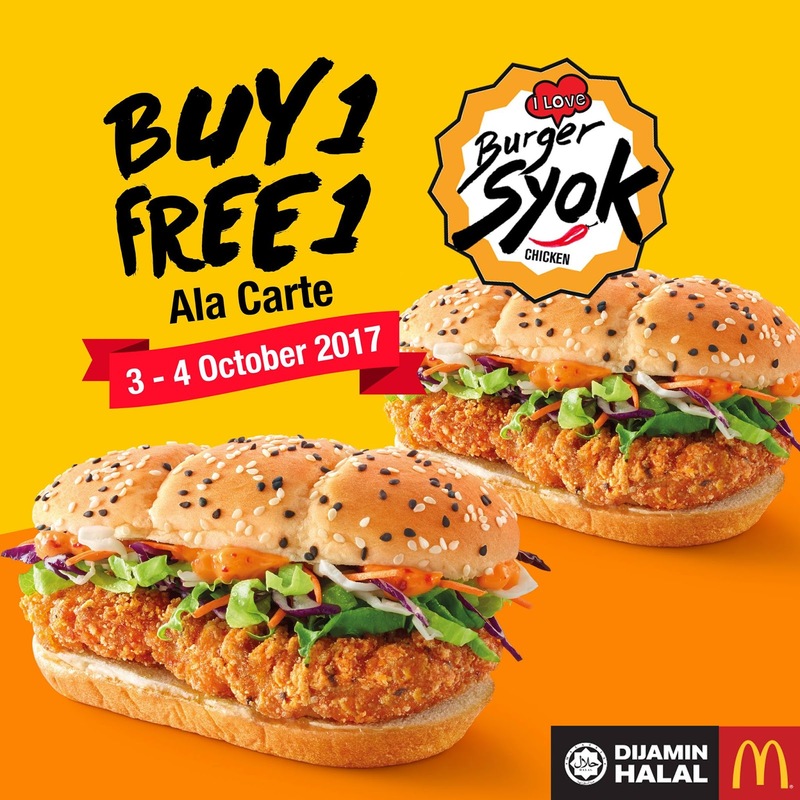 Just show this Facebook post to our crew at your favourite McDonald's® Malaysia restaurant to enjoy the offer. It’s that simple!